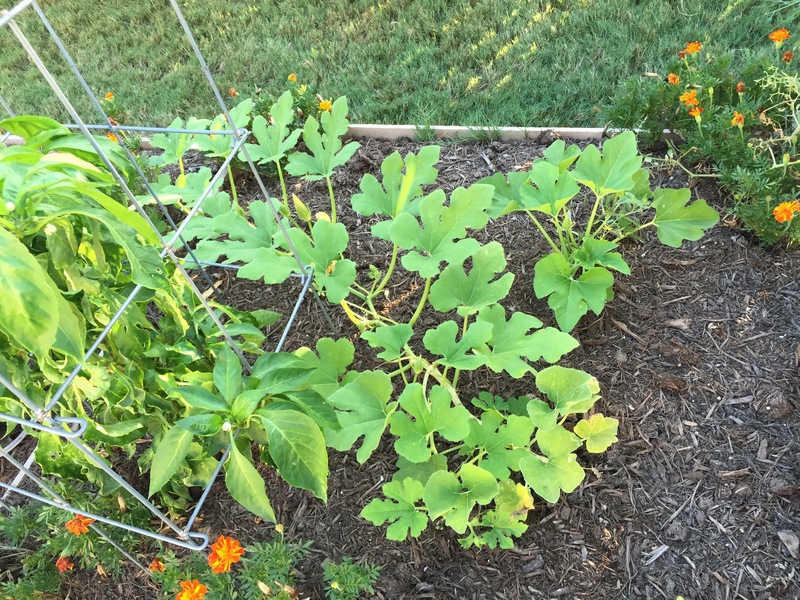 Daughter liked to name my flowers in Wisconsin, so I figured I’d let her name the pumpkin that’s been keeping company with Wanda, my bigger, wandering pumpkin. So, we’re proud to introduce you to Cosmo. If you didn’t catch on from the title of this post, the names are a nod to characters in one of daughter’s favorite cartoons, The Fairly OddParents. Cosmo has a way to go to catch up to Wanda, but give him time, he’ll get there. Wanda, on the other hand, has numerous flowers. I haven’t checked to see which ones are male and which ones are female, but I’m assuming there are some of both. 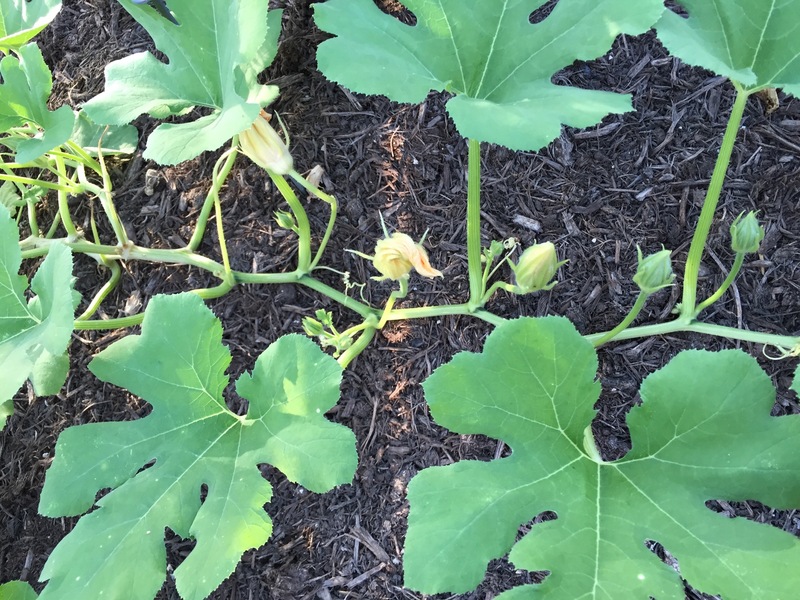 At least there better be so I actually get pumpkins out of the plant. 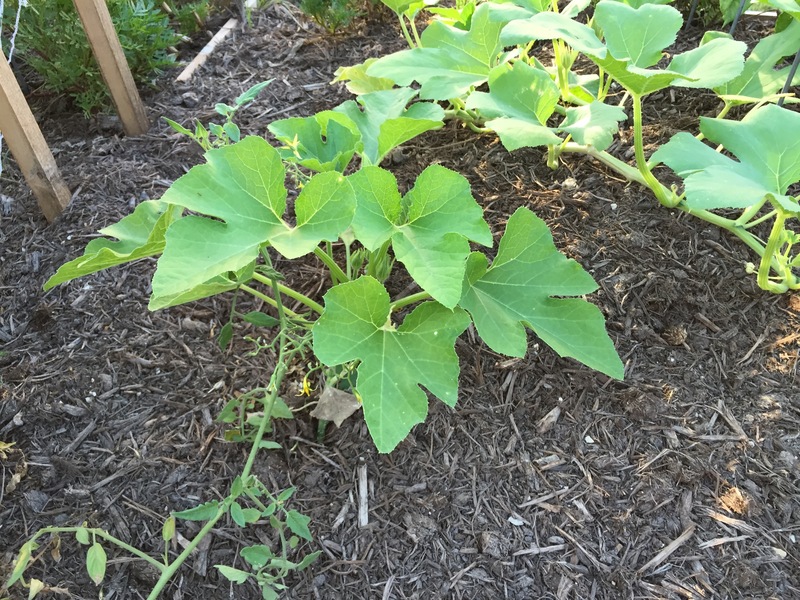 Wanda also is continuing her wandering ways, spreading out into the second raised bed. Hopefully this weekend I’ll have time to clean out the beds a bit to give The Fairly OddPumpkins room to grow. 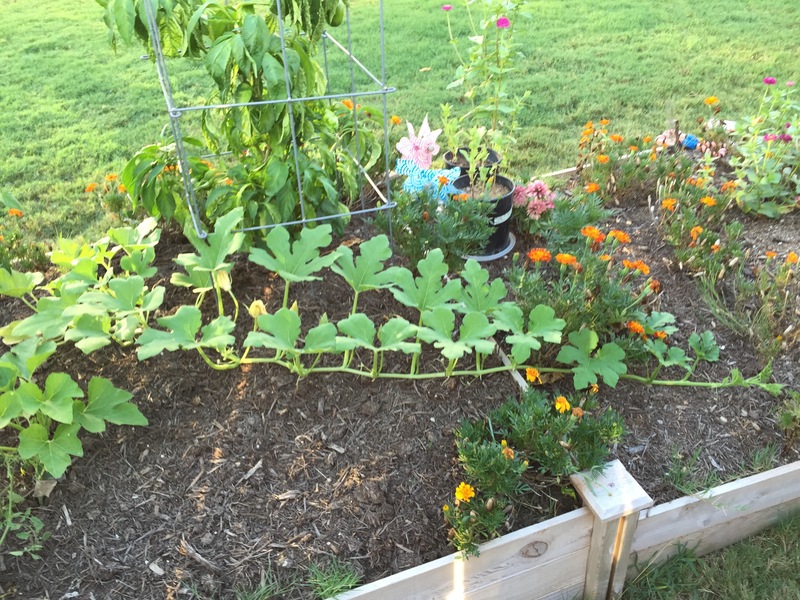 This entry was posted in Gardening and tagged pumpkins on September 3, 2015 by Julie Riebe.